ProEx, a leading provider of transportation and logistics services in the Midwest, recently acquired the Xcelerator online management system for its courier division. Xcelerator, a software product by Key Software Systems, is an innovative tool that improves efficiency and accuracy by providing customers and business owners with a one stop shop for transportation management. Xcelerator benefits include electronic invoicing, improved online order entry, customized performance reporting, EDI and mass import capability, and more. MCAA, the Messenger Courier Association of America, views Xcelerator as a game changer; a “superior software product” that has changed and will change the way transportation companies manage their businesses online. According to the MCAA (2007), two unique aspects of the software are its Distribution component and its 1st Member Alliance concept. Xcelerator Distribution allows company owners to communicate with its customers via electronic data interchange and mass import. 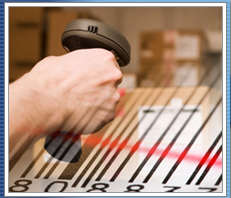 With the software, customers can view their “scanned, itemized packages and the digital signature online” within seconds (MCAA Messenger Courier World Magazine, p. 18). With MobileTek, the mobile component of this management system, drivers can capture signatures and immediately upload them onto the web. The 1st Member Alliance concept allows business owners to communicate with one another in an online forum, where they have the opportunity to discuss ways to improve the software as well as to network with other owners and form business partnerships. Business owners have access to a wide network of owner/operators and brokers, allowing them to quickly and easily find new business opportunities and the lowest transportation costs for their customers. ProEx customers are already benefiting from this streamlined system. In the first weeks of its use, ProEx couriers in the Cleveland area had a perfect record of on time delivery for its client, FedEx.